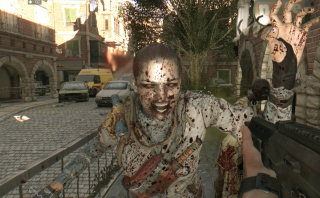 If you just can't get enough zombie killing in the undead infested city of Harran, but wish you had a better reason for keeping up the fight than "because they're there," Dying Light's upcoming "Legendary Levels" might be just the ticket. As Lead Game Designer Maciej Binkowski explains in this video, Legendary Levels come into play after you've maxed out one of your skill trees. Once that's done, you'll begin earning experience to use in a new, 250-level Legendary skill tree, which will enable an even greater degree of character customization. For every 25 Legendary Levels you earn, you'll also get new emblems, outfits, and weapons. The Legendary Levels will be included with the Dying Light Enhanced Edition, which bundles the original game plus all post-launch content and updated graphics, and will also be available to owners of the regular edition of the game as a free update. The Enhanced Edition and the Legendary Levels update, and also the very big Dying Light expansion The Following, are all set to come out February 9.